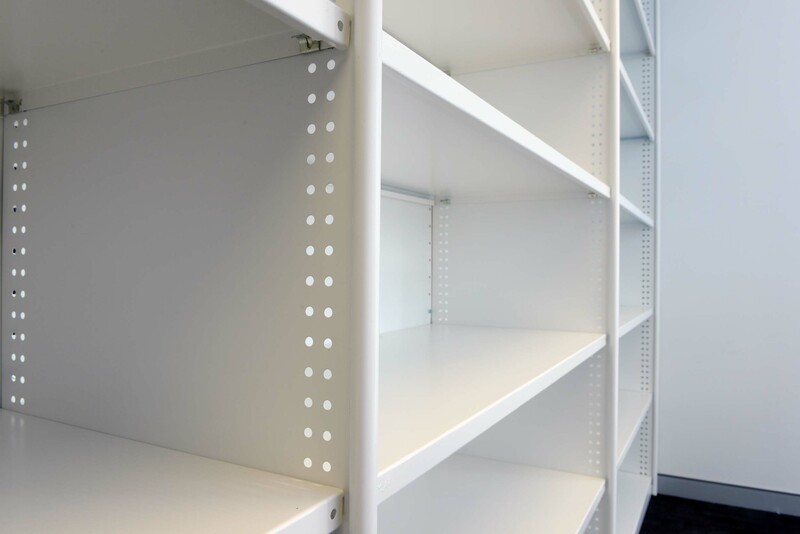 Made from fine grade Bluescope steel, rolled post shelving has a load rating of 100kg (with optional reinforcement for heavier loads) and comes in a range of sizes. The optional slotted shelf provides parallel slots at 25mm increments for dividers, making it great for filing or holding alphabetical or numerical information. 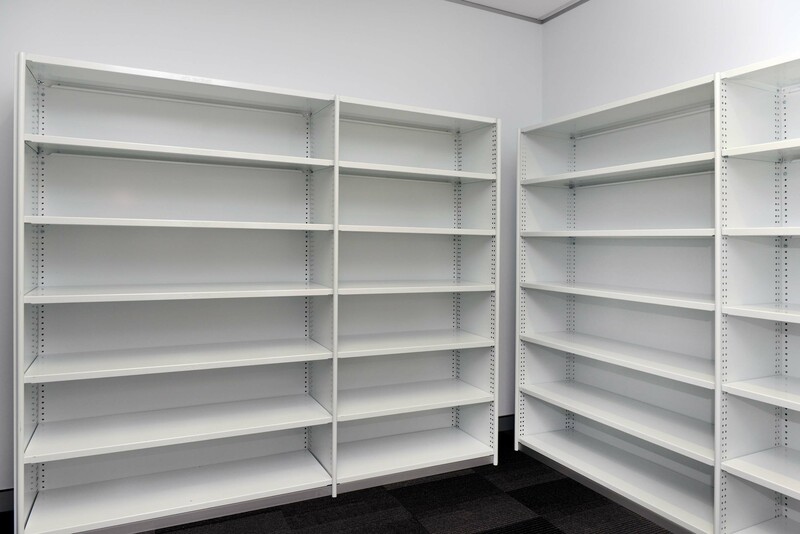 Shelving units can be assembled side-by-side and back-to-back depending on your particular needs. All shelving is finished in chip and scuff resistant thermoset powdercoat and is available in a wide range of colours and finishes.